Abel Flagpole maintenance Teams often have to go to great heights to perform their various tasks. 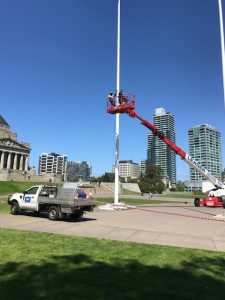 A recent Project for the Melbourne Shrine of Remembrance involved repainting three 24 m high flagpoles , preparing them for the November 11 Remembrance Day Service . Attached photo shows Abel Team members, Dean and Marty waving confidently from the Boom Lift required to lift them to the tops of the flagpoles. 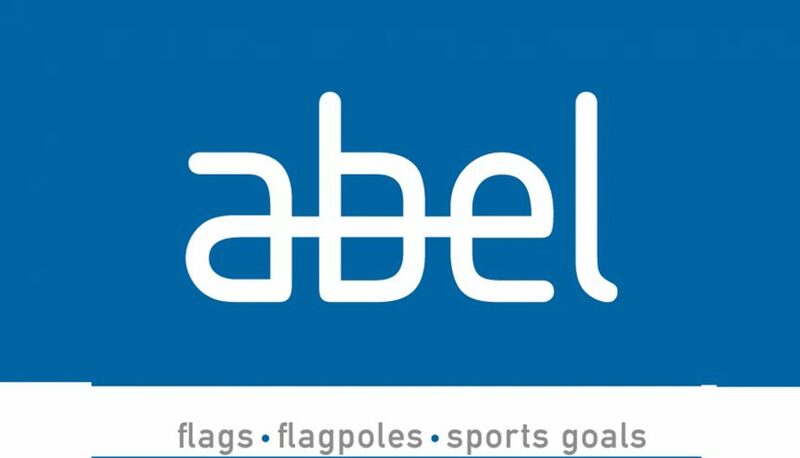 Abel Flag maintains all the Flagpoles for the Shrine, Government House, Government Offices and RSL Branches throughout the State. It is worth noting Abel Flags busiest times are usually prior to ANZAC Day and Remembrance Day. For Further information contact John Cann.